Goddess Series: This one of a kind original mixed media piece is a collaboration with my husband and partner. The art has been created on 1/2" deep wood with the edges routered. 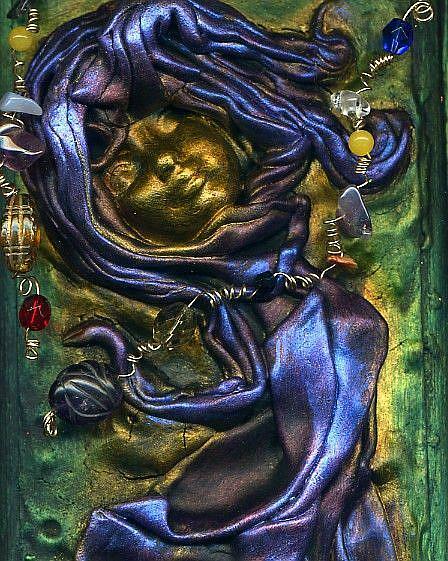 The mixed media consists of entirely hand sculpted polymer clay and fresco style materials. The beadwork consists of genuine gold bead, glass beads and tubes, swarovski crystal beads, and genuine semiprecious stones including jade, pearl and turquoise.